The alarming findings that levels of Fukushima radiation off the North American coast are higher now than they have ever been, is being spun by the press as an issue of no concern. In March 2011, Japan’s Fukushima Daiichi nuclear power plant suffered multiple meltdowns following a massive earthquake and tsunami. The exploding reactors sprayed massive amounts of radioactive material into the air, most of which settled into the Pacific Ocean. Since then, more radioactive material has continued to pour from the coastal plant into the ocean. In a study presented at the conference of the American Geophysical Union in San Francisco on Dec. 14, researchers found that radiation levels from Alaska to California have increased since samples were last taken. The highest levels yet of radiation from the disaster were found in a sample taken 2,500 kilometers (approx. 1,550 miles) west of San Francisco. Lead researcher Ken Buesseler of Woods Hole Oceanographic Institution was one of the first people to begin monitoring Fukushima radiation in the Pacific Ocean, with his first samples taken three months after the disaster started. In 2014, he launched a citizen monitoring effort – Our Radioactive Ocean – to help collect more data on ocean-borne radioactivity. The researchers track Fukushima radiation by focusing on the isotope Cesium-134, which has a half-life of only two years. All Cesium-134 in the ocean likely comes from the Fukushima disaster. In contrast, Cesium-137 – also released in huge quantities from Fukushima – has a half-life of 30 years, and persists in the ocean, not just from Fukushima, but also from nuclear tests conducted as far back as the 1950s. The most recent study added 110 new Cesium-134 samples to the ongoing studies. These samples were an average of 11 Becquerels per cubic meter of sea water, a level 50 percent higher than other samples taken so far. Instead of presenting the findings as an alarming sign of growing radiation, however, Buesseler emphasizes that the Cesium-134 levels detected are still 500 times lower than the drinking water limits set by the U.S. government. The news site The Big Wobble questions whether Buesseler and Woods Hole’s heavy financial reliance on the U.S. government – Woods Hole has received nearly $8 million in research funding from several government agencies – plays any role in this emphasis. The reality, however, is that radiation along the West Coast is expected to keep getting worse. According to a 2013 study by the Nansen Environmental and Remote Sensing Center in Norway, the oceanic radiation plume released by Fukushima is likely to hit the North American West Coast in force in 2017, with levels peaking in 2018. Most of the radioactive material from the disaster is likely to stay concentrated on the western coast through at least 2026. 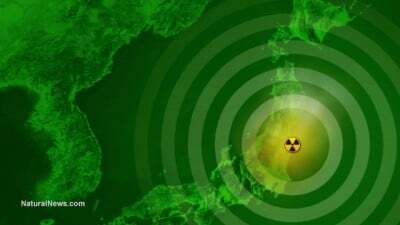 According to professor Michio Aoyama of Japan’s Fukushima University Institute of Environmental Radioactivity, the amount of radiation from Fukushima that has now reached North America is probably nearly as much as was spread over Japan during the initial disaster. The recent Woods Hole study also confirmed that radioactive material is still leaking into the Pacific Ocean from the crippled Fukushima plant. Cesium-134 levels off the Japanese coast are between 10 and 100 times higher than those detected off the coast of California. Without directly challenging the U.S. government’s “safe” radiation limits, Buesseler obliquely references the fact that any radioactive contamination of the ocean is cause for concern.